Thank you Graeme for all your fantastic work, it was a corrupted xml file and sorry for wasting your time, have made a test and x2pro performed as it should. The corrupted xml had lots of problems from the trasfer of the project from the producer, had lots of sync problems which came across. i have made a full film aaf which looks good and now will check the reference file once its exported. Thanks again will upldate with success i hope in the morning. I have attached a picture showing what happens when I import the fcpxml, then drag the H.264 into the project. It is out of sync, and it hasn't even touched X2Pro. I don't think there is anything wrong with the roles. 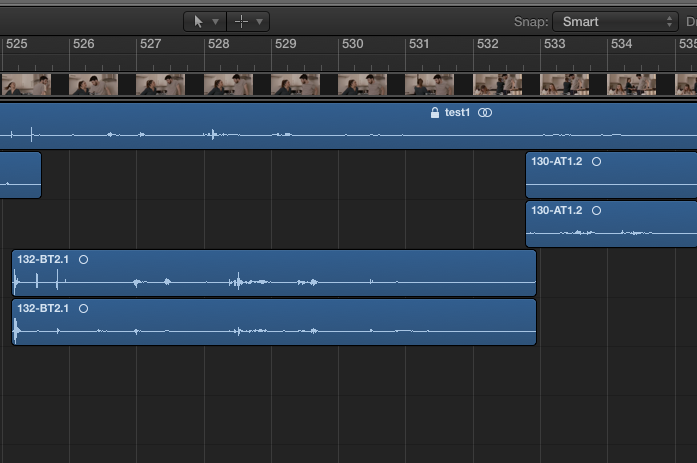 I have opened your AAF in Pro Tools and then imported the video and I can indeed see/hear it going out of sync, but I did notice that the audio in the AAF is in the correct place when I compare it to the fcpxml that I imported into FCP. I think there is a problem with your fcpxml. Either it's not been exported from the same project that the H.264 mov was, (i.e. the project has been changed), or there is a problem exporting the fcpxml becuase importing the fcpxml into FCP will give you a sequence that doesn't match the one in the H.264 mov. now this prodject was started by the producer and feel the roles could be a problem here is a screen grab does it llok correct? 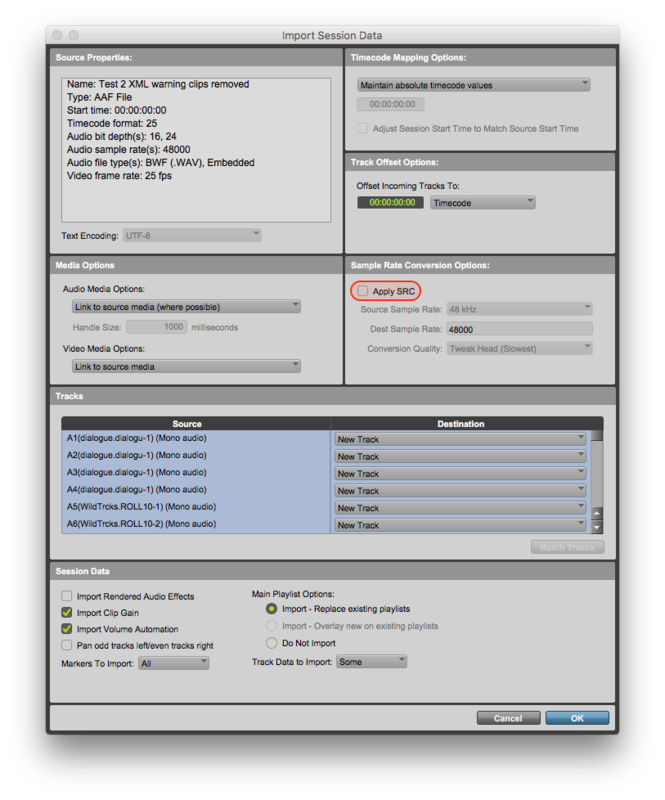 I created an AAF using your clip and your fcpxml and the clip didn't go out of sync for me unless I enabled the option to apply sample rate conversion in Pro Tools when I opened the AAF (see attached picture). Please make sure that option is unchecked when you import the AAF. I need the original wav called SOUND 1-15/12/534---AT4.WAV that is used in your project. Are you able to upload it to our FTP server if I give you login details? thank you, its 65 mb how can i snd it direct?